You are here: Home / Dallas/Fort Worth Events / DFW: The LEGO Batman Movie” Days Giveaway! DFW: The LEGO Batman Movie” Days Giveaway! DFW: “The LEGO Batman Movie” Days Giveaway! Do you have LEGO fans in your life? 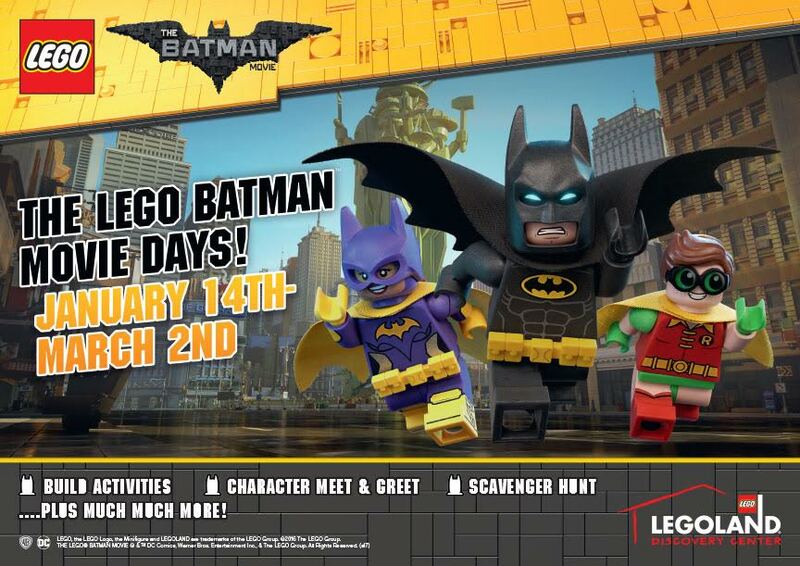 Well, here’s your chance to attend The LEGO Batman Movie Days at LEGOLAND Discovery Center Dallas/Fort Worth! You can enter to win 4 tickets to check out The LEGO Batman Movie Days – right here on Grocery Shop For FREE!! LEGOLAND Discovery Center Dallas/Fort Worth is hosting an exclusive event celebrating the Caped Crusader. “The LEGO Batman Movie” Days promises epic fun for the entire family and will include photo ops with LEGO Batman, a MINILAND villain takeover and LEGO Batman-inspired build activities. Grapevine, Texas – Super Hero. Crime-fighter. Master Builder. LEGO® Batman™ is all of those and so much more. With the scene-stealing star of The LEGO Movie returning in his very own, highly anticipated big-screen highly anticipated adventure, The LEGO Batman Movie, from Warner Bros. Pictures and LEGO System A/S, LEGOLAND® Parks and LEGOLAND® Discovery Centers around the world will celebrate the Caped Crusader with an exclusive new event taking place on select dates in 2017. This giveaway will end Saturday, February 13th, 2017 at 11:59 pm Central time and the winner will be emailed soon thereafter. Make sure you add [email protected] to your address book, so you get the email if you win!